The pump is a common aspect of how a good workout “feels” – whether it comes with its own benefits or not. Today we’re going to discuss all there is to know about the pump, what to look for when you’re trying to buy a great pump pre workout supplement, and we’ll look through some of the most popular installments on the market, so you can get an idea of what works and what doesn’t. For more of my top pre workout recommendations, have a look through these popular KAHG guides: Organic Pre workout, Pre Workout for Weight Loss & Pre workout for Women. The pump is the feeling of extreme tightness and muscle swelling during a workout. This might sound unpleasant, but if you’ve ever experienced a pump, you’ll know it’s a great experience. Famously popularised by Arnold Schwarzenegger, the pump has been one of the most common goals for those looking to build muscle and size. However, the science on this is unequivocal: there are no real connections between muscle growth and a pump. Workouts that don’t provide a pump can provide equal or greater results depending on what you actually do during your workout. The pump itself is just a sensation of increased blood flow and glycogen-use in the muscle. There are some links between the cause of a pump and how it might play into muscle changes, but they’re not direct. Despite fitness pop-culture, it’s very possible to make serious gains with no pain or pump. This is because the cause of the pump is a metabolic change in the muscles and is often associated with muscle damage more than muscle growth. This is a problem for those who train for a pump: It’s a great feeling but shouldn’t be associated with a good workout – bad workouts can cause a pump and pump-filled workouts aren’t guaranteed to be good. This is a good place to start when discussing pump supplements since it is characteristic of everything, you’re likely to see on the market. To start with, the active supplement ingredient is Citrulline malate – the best form of nitrogen booster that you’re going to find in commercial supplements. This boosts your blood arginine, meaning more oxygen and nutrients delivered to the muscles. It boosts the pump significantly – especially if combined with glutathione. Sadly, you won’t find any glutathione in Vintage Blast. You will, however, get some useful secondary ingredients. Caffeine is an obvious one – bringing increased focus and potentially improving your strength and power. Beta-alanine brings similar benefits to endurance, rather than strength, making this a well-rounded pre-workout. You’ll also get some useful nutrients in this product alongside the active ingredients. 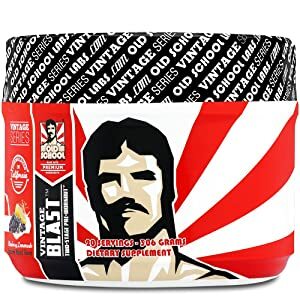 Vintage Blast provides a variety of vitamins and minerals. Carnitine is included here, which can be useful, while the overall multivitamin effect is a bonus, alongside some gentle mood regulators. This works just fine as a pre workout, brings the promised pump effects, and is likely to bring about some positive changes to your workout. A good standard to work from! Altius provides 60% more citrulline than Vintage Blast and ditches the regular arginine, making it a much more potent supplement. This makes it a better choice, all things being equal, than the previous entry on this list. The combination of creatine with beta-alanine is a great choice, boosting your performance and endurance at all types of output: from power to endurance. Combining Betaine, Caffeine, and Alpha-GPC also makes it a great choice for athletes – boosting focus, power output and mood. These are fantastic ingredient choices. This product also uses Piperine – a black pepper extract that improves absorption of vitamins, minerals, and other nutrients during digestion. This means that all of the ingredients in this product will come with a boosted effectiveness as you’re getting higher bioavailability. Every gram is more effective because of this addition. The addition of B vitamins, Sodium and Potassium balance out the electrolyte demands during exercise, while also providing a small boost of the hard-to-absorb B12 vitamin. Overall, this makes for a fantastic performance supplement. 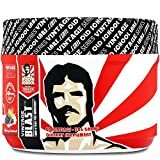 As mentioned above, the secondary ingredients in this product make it a fantastic choice and right now this is the gold standard in pre-workouts. With less citrulline than the Altius pre-workout supplement, this is likely to bring smaller improvements in the pump and the overall delivery of nutrients to the muscles. There’s only a 25% difference, but this can make a difference if the Athlean supplement doesn’t win on secondary ingredients. This seems unlikely, as it includes reduced amounts of Betaine, the choline doesn’t match up to the effectiveness of alpha-GPC, and the creatine/beta-alanine doses are comparable. With a loss of piperine in this product, we also lose the synergistic benefits of improved absorption. 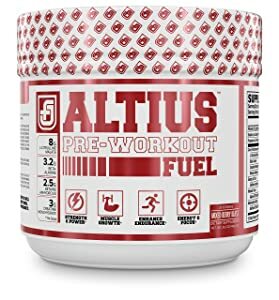 This is a great product, but with a reduced amount of citrulline and mostly-inferior secondary ingredients, the only benefits to Athlean over Altius are certain trace minerals. However, you can easily overcome this with a multivitamin – cheap and easily available. Overall, a great product: it out-classes Vintage, but is out-classed by Altius in a similar way. 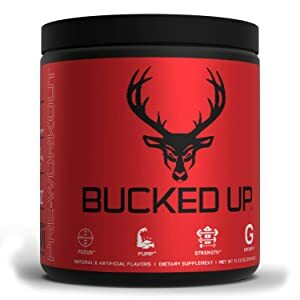 The Citrulline Malate in Bucked up is the same as Athlean RX, but the secondary ingredients fall far behind – something that seems to be making the difference between a good pre-workout and a great one. To start with, the Alpha-GPC concentration means even less Choline will likely be delivered than in either Athlean or Altius. The combination of beta-alanine, caffeine, taurine, and Himalayan rock salt bring around some serious benefits to endurance and focus. However, these are standard among pre workout supplements and we’re not wowed by them. The lack of creatine in this supplement also means reduced muscle growth compared to products like Altius that provide effective doses. This is an important cellular-signaling and strength/power supplement so its absence from this product is both unusual and a big negative. Overall, another decent supplement but easily out-classed by others on this list. 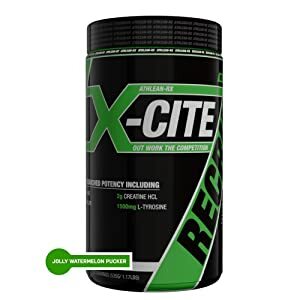 This is the first supplement on this list to match Altius on citrulline with a whole 8 grams of citrulline, meaning stronger pumps and improved oxygen transport to the muscles. However, this supplement is also beaten on the secondary ingredients. The lack of creatine is enough to immediately put it in our #3 slot. Creatine is the most studied performance supplement of all time, with a huge host of benefits to health, strength, and muscle growth. With this missing, there’s a big gap between this supplement and Altius. You’ll still see great benefits with ingredients like betaine, beta-alanine, caffeine, and l-theanine. The overall theme of this product is going to be improved focus, mood, and endurance. These are great benefits by themselves, and the inclusion of ornithine is a great synergist with citrulline. 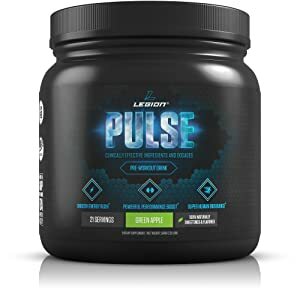 Overall, this is on a par with Athlean for our second place – the increased citrulline is useful, while the lacking creatine makes it about even on secondary ingredients. We like the ingredient choices on this product, but it’s still not ticking all the boxes that Altius does. With comparable levels of citrulline and creatine to Altius, this is a real challenger for the top spot on this list. The dosing of all the ingredients are effective and well-balanced, with some benefits and some drawbacks. The addition of leucine can be a big positive to a product like this, as leucine is one of the most important amino acids for improving muscle gains and you get around 50% of a supplementary leucine dose in this product. However, the inclusion of other BCAAs is almost entirely useless unless you’re protein-deficient in your diet. This could definitely be replaced by more-effective compounds. Fortunately, the overall ingredient balance on this supplement is still good, with caffeine, tyrosine, and beta-alanine in effective doses – as well as the absorption-boosting Piperine compound. The only difference we noted with this product is the absence of Alpha-GPC, betaine or any other form of cholinergic compound. 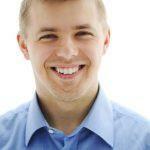 This is a problem as these are indirectly building muscle by boosting power and mood. This is enough difference to put Nutrex into our #2 spot, falling short on the brain and muscle benefits that come from a well-dosed choline-boosting ingredient. This is compounded by the fact that there are no mineral ingredients as seen in Altius and Athlean. Overall, a strong second place but narrowly missing out on the top spot. 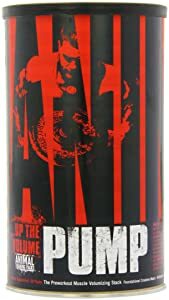 This product comes with an enormous marketplace reputation, part of the Animal Pak line, bringing with it all the marketing force and popularity that line enjoyed. This comes out of the gate pretty weak, however, focusing on pure arginine rather than the more-effective citrulline malate. This is a problem for anyone looking for a pump supplement since arginine is scientifically-proven to have less effects for the same amount of ingredient. Even more problematic is that you’re getting 25% of the common dosages used for citrulline. This means that – at most – this will provide ¼ of the active pump-boosting ingredients. The “pump transport complex” is also lacking any nitrogen boosters, though it does include a form of leucine, though many of the other ingredients in this group aren’t proven to be effective. A bad start. The secondary ingredients in this product are pretty great, however. It starts with a competitive creatine content of 3g, about as much as any other supplement on this list. There’s a combined “energy rush complex” including caffeine, though it’s a proprietary blend so we can’t really tell how much of each ingredient is present – though it seems to be an effective dose. With Beta-alanine, Piperine, and EGCG, it does come with benefits to endurance, absorption, and overall health too. This makes for a well-balanced pre-workout supplement, but there are many questions raised and left unanswered by the proprietary blends of this product. We can’t tell how it compares on key areas like caffeine or any of the other specifically-useful ingredients. 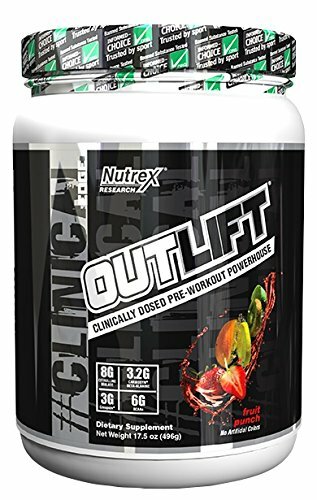 Overall, we really like this product and would put it joint-second with the Nutrex pre-workout. If it had a clearer indication of ingredients and could keep up on the pump aspect, we’d be bigger fans, but, in the meantime, it comes with a weak pump effect but great secondary ingredient choices. These aren’t associated with these supplements specifically, but they’ll bring you some serious differences and cover missing areas. 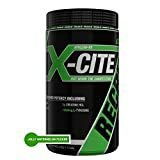 Take creatine: if your supplements don’t have it, or not enough, you can buy creatine super-cheap and mix it in yourself. This costs a few bucks and will bring extra benefits. Add Glutathione: if you really want an insane pump then adding glutathione to your pre-workout powder is a fantastically effective method. Combining glutathione with citrulline has some peculiar, but awesome, scientific implications for pump, strength, and endurance. Timings are key: caffeine absorbs over the course of an hour then lasts for 4-6, while citrulline absorbs in 30 minutes or so. The point is that timings are important here and you should look into nutrient absorption timings, so you can structure your workout and pre-workout supplementation properly. 30-45 minutes before a workout is a good rule of thumb. Rep-Variety is great for a pump: getting a greater variety in your rep schemes is one of the emerging ways of boosting your pump and muscle gains. This means that 3 sets of 8 is probably not going to be as beneficial as a heavy set of 4, a lighter set of 8, then a lighter set of 12. Start with light, stretch-based exercises: stretching exercises should come before pressing or hinging exercises, as they increase muscle pliability, recruitment, and improve the involvement of passive elements. The science suggests that stretch-mediated exercises are key to building additional strength as fast as possible. Incorporate a high-quality pump pre-workout supplement into your routine and try these methods to improve your overall results and produce a better workout. You can make the most of your time and money with these simple dietary and exercise-technique changes. 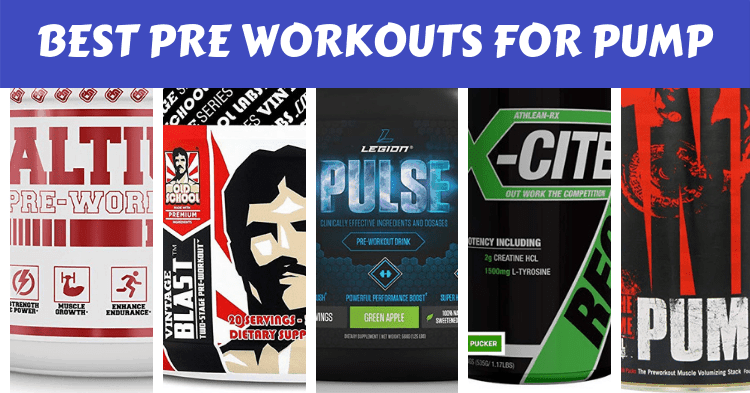 We’re big fans of Altius, as well as Athlean X-CITE and Vintage Blast– though all of the supplements on this list are actually likely to be effective. It’s just a matter of getting the most for the least, and Altius still seems to be the best way to do that.